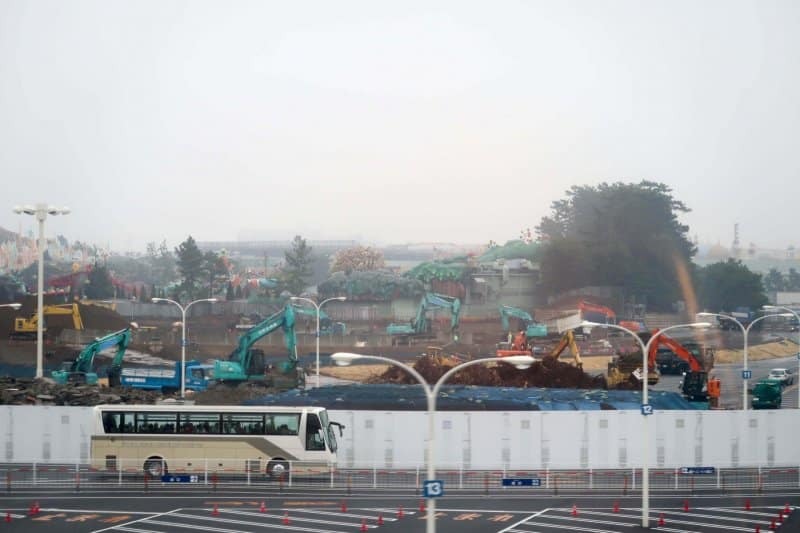 Construction is well underway at both Tokyo Disneyland and Tokyo DisneySea. 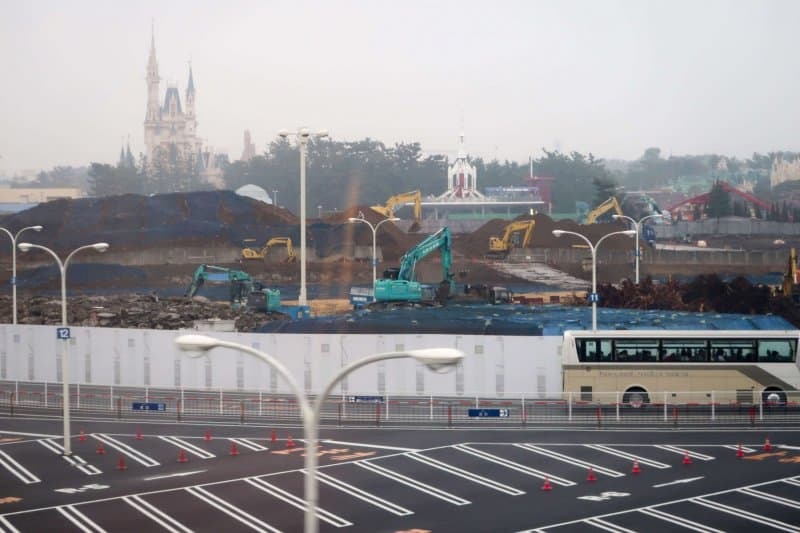 Fantasyland construction (Tokyo Disneyland) is in full force and all evidence of the Grand Circuit Raceway is now a memory. 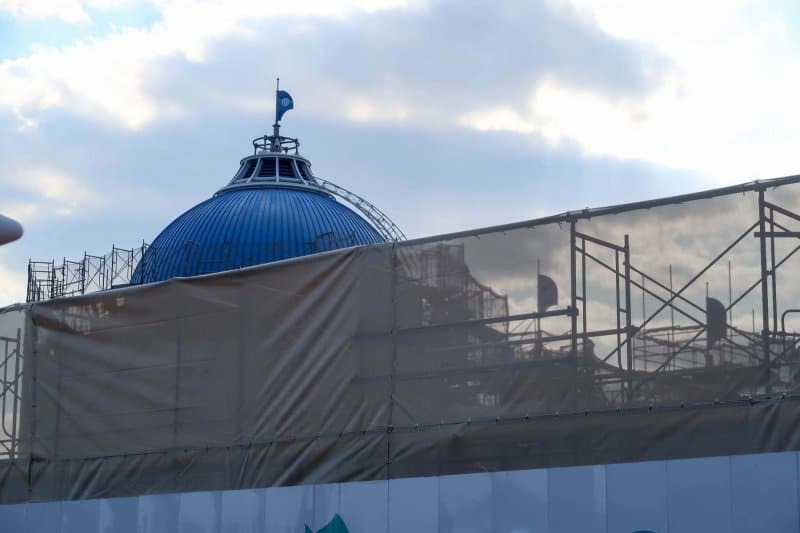 Which means we are closer to the exclusive Beauty and the Beast attraction (set to open in 2020)! 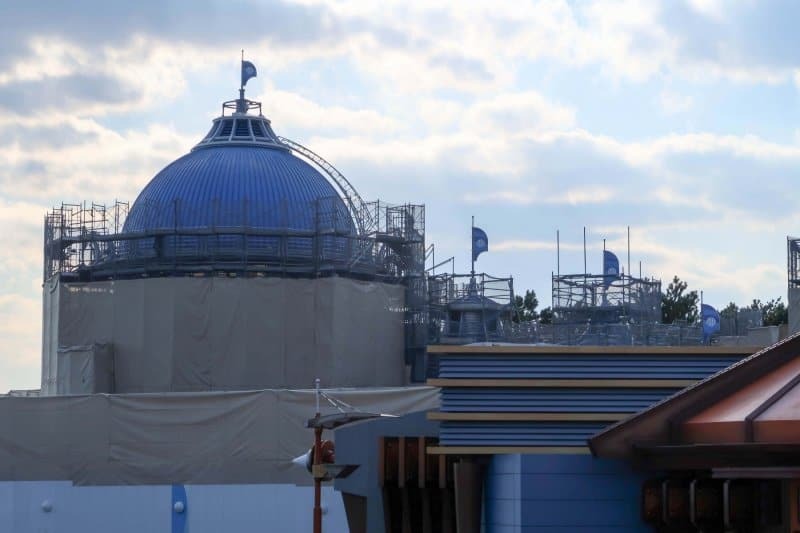 Over at Tokyo DisneySea, the construction of Soarin’ and Finding Nemo SeaRider is moving along nicely. In this monthly update, we have awesome photos to share with you! It’s always a thrill to see how things come along. Alright, let’s get to it! 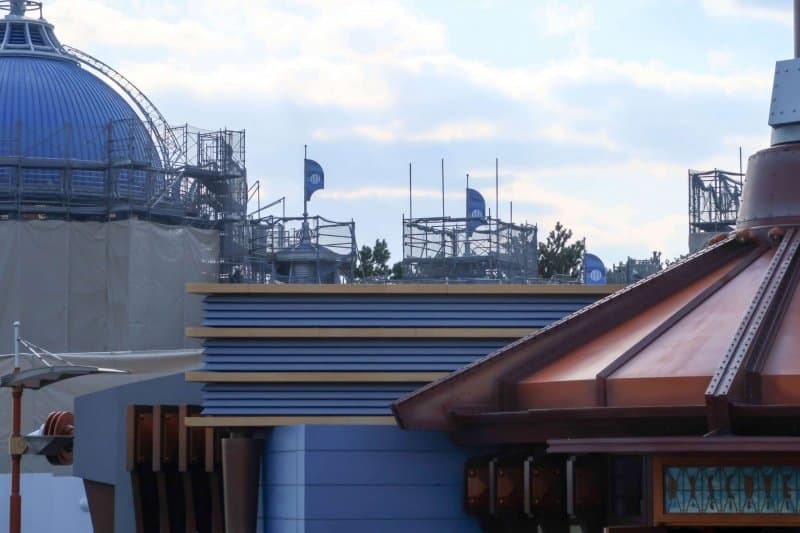 I never noticed how much the sight lines were hidden until the Grand Circuit Raceway was removed. 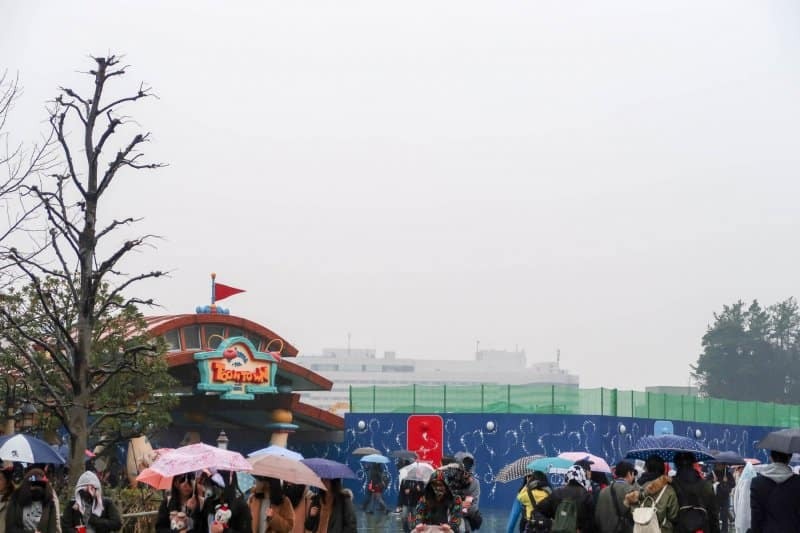 You are able to see the hotels as clear as day from Fantasyland and it’s a bit jarring. 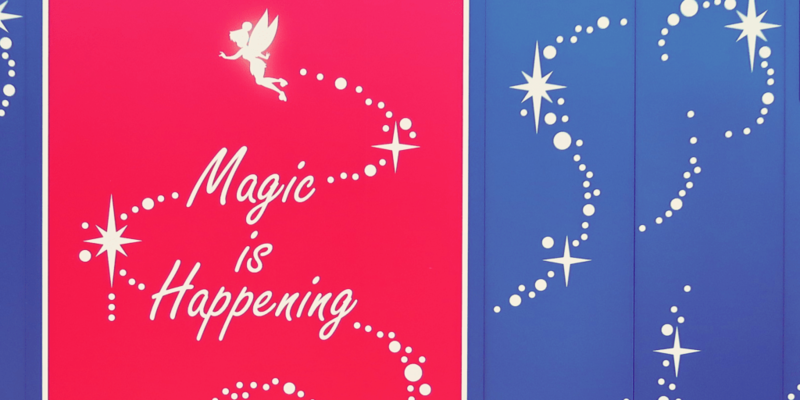 But, that just means we are closer to having our Beauty and the Beast attraction (yeah, I mentioned it already but I am that excited). You can see other photos from our update for February. 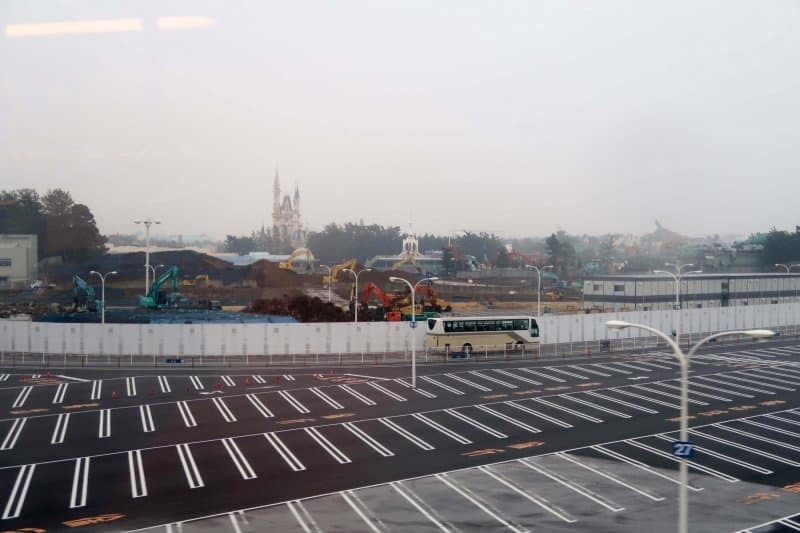 While on the monorail between Tokyo Disneyland and Bayside Station, you are able to see the massive construction. The landscape is starting to take shape! 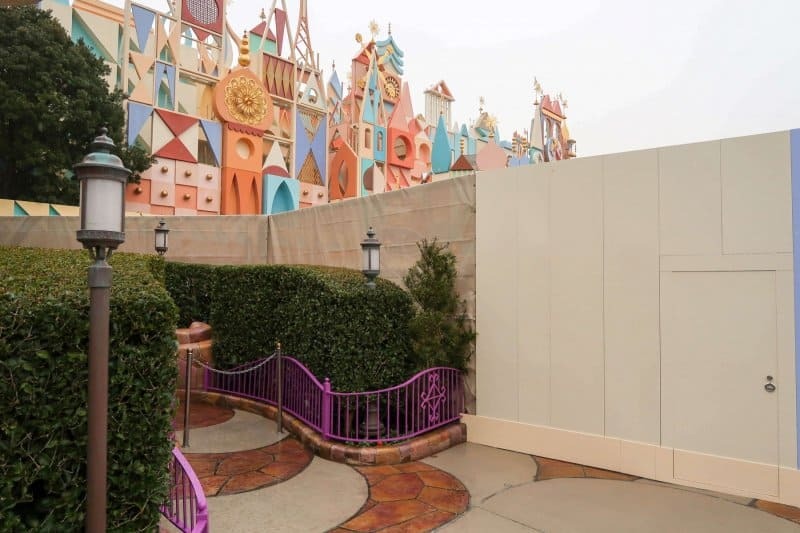 The walls have been up for some time now and it’s a bit hard to see progress. The walls are high, but you can see the cranes are working hard! 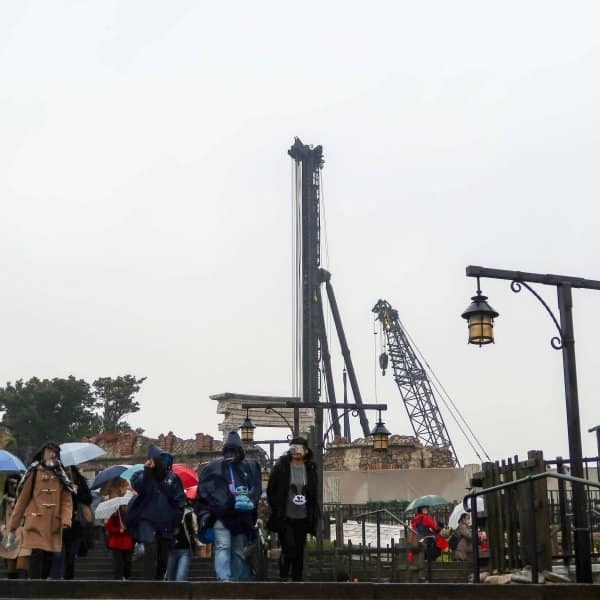 It’s set to finish in 2019. 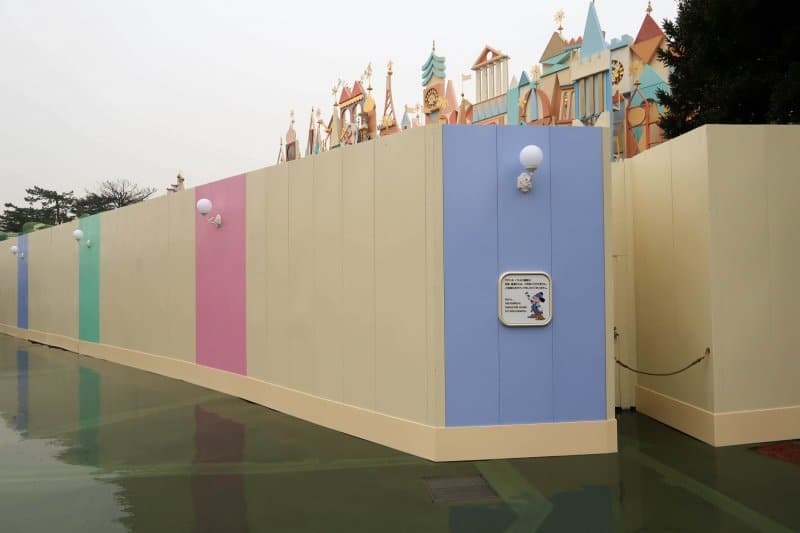 Set to open on May 12, 2017, it looks like the construction is moving along on schedule. 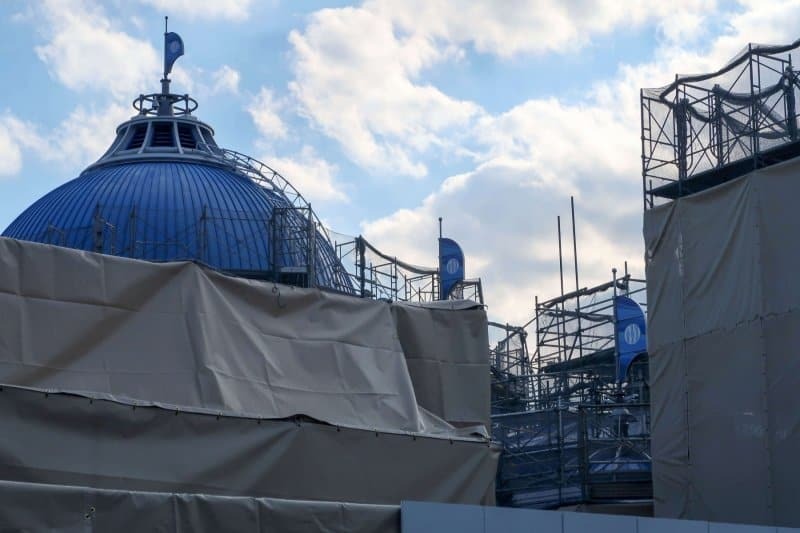 Portions of the roof are now exposed, showing off a nice blue colour. You can see photos of the progress from our January 2017 update. 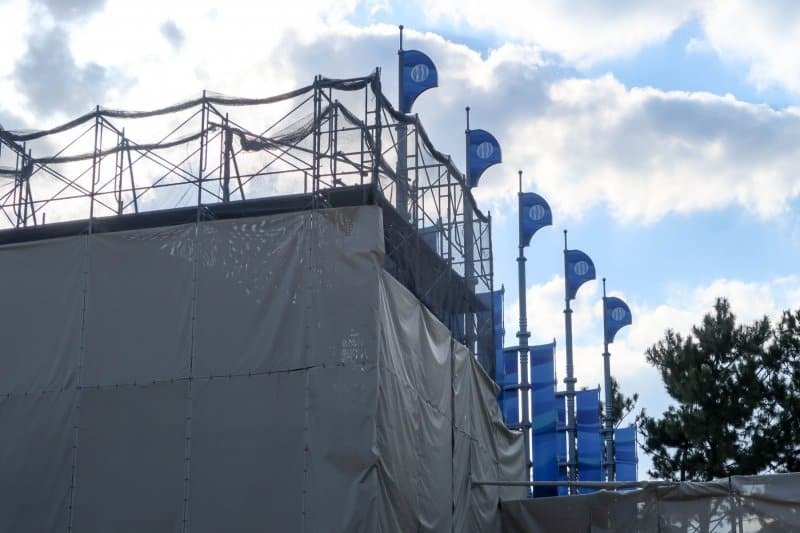 The walls are up and the update of this attraction has started! 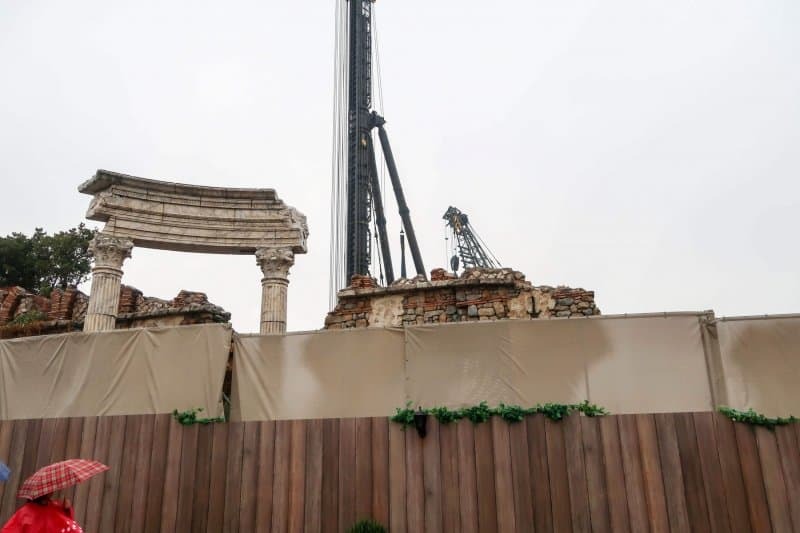 It’s scheduled to re-open in spring 2018 (there are no exact dates yet). Feel free to use these photos as long as you give credit to TDRExplorer.com.